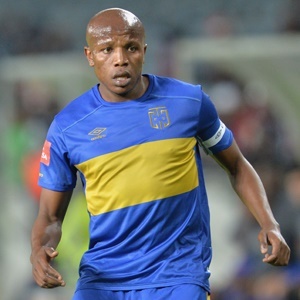 Cape Town - Cape Town City have confirmed the transfer of attacking midfielder Lebogang Manyama to Turkish Super League side Konyaspor FC. The transfer will be subjected to a medical, which Manyama will undergo in Turkey upon the conclusion of national team duty. This will be a sigh of relief for both Manyama and Cape Town City, after Sport24 first reported that the skipper had fallen out of favour with the Cape-based club after a training ground bust-up with coach Benni McCarthy. McCarthy later revealed that the player has been distracted by transfer rumours of a pending move away from the club. While the Citizens' were previously against letting Manyama leave, earlier this week the side reportedly dropped the asking price of the want-away attacking midfielder from R15.5m to R12.4m. The 26-year-old had a stellar 2016/17 season when he banged in 13 Premiership goals for the Citizens.